We are currently considering and evaluating possible major changes to Execoin to mitigate over-inflation issues, and to address a vulnerability in the Kimoto's Gravity Well difficulty re-target algorithm. Our version of KGW is too processor-intensive and slows down the wallet. After serious consideration, we have decided to do a hard-fork in the near future. This will allow us to eventually change the PoW algorithm to a completely unique one, not currently being used in any of the coins existing on the market. This will make the upcoming Scrypt-N ASICs obsolete before they even release to the public. More information about this will be released in advance. 3. Modify the Electrum server to support fetch_stealth method and update our base client to support the relaying of stealth transactions on the network. There are a lot of pros. First of all, it will be possible to restore not only ordinary addresses from a single mnemonic phrase used in Electrum, but also stealth addresses! Second, Electrum with Stealth can be subsequently run on Android devices with minimal development efforts. In addition, advantages inherent to Electrum will be there, such as offline wallets, portable wallets, and speed. Execoin is a fast coin with a lot of blocks in the block-chain, and it’s particularly important for us to make an accent on, and encourage the use of, lightweight SPV clients. Execoin's own Stealth library, written from scratch in Python, is ready, integration of stealth address generation into the mnemonic system used in Electrum has been completed in full, we’ve done sending/receiving in the wallet as well. Currently we are working on modifying the Electrum server to support the fetch_stealth method. Within about 1 week a fully functional Beta version will be available in the main-net. We are giving the secrets related to stealth addresses to our readers. There is a 5000 EXE reward to anyone who can manage to redeem it. Once you figure out the above hints, it’s a fairly simple task, so before trying make sure that the reward is still there! EXEcoin has a strong community, a dedicated development team, and the infrastructure and game-plan to not only remain stable in the ever-changing crypto-world, but to thrive in it. 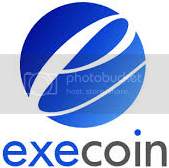 Many goods, services, and assets were added to EXEcoin over the past couple of months. Expect that to ramp up a great deal, going forward. Many more things are in the works beyond just what was listed above. Stay tuned for more frequent news releases about all things related to EXEcoin. It should be pointed out that part of what makes this EXEcoin community, and dev team, so special is that there is no big pre-mine or insta-mine to draw on. Yet infrastructure is still added to the coin. Goods and services are still added for the coin. People still work for the coin. Giveaways are still done for the coin. All from community donations, and the devs themselves. Here is another giveaway brought to you by the EXEcoin dev team, and EXEcoin community donations! Please follow the instructions in this thread http://bitcoingarden.tk/forum/index.php?topic=649.0 - Vote for EXEcoin on https://www.mintpal.com/voting#EXE - get 10 EXE for every vote! With the help of the community, Mintpal is a very real possibility. If you can vote, and vote often, please do so. If you can donate to the EXEcoin fund, to help make things like this giveaway push happen, please do so. The sky is the limit! Do you understand the giveaway part? I hope some one does though!